This is a very popular type of mattress which adapts to the shape of your torso, to provide support and relieve pressure on your neck, back, and waist. As the name implies, this mattress is made from memory foam, which can be an extremely warm material. However, thanks to modern innovation these mattresses have been modified to include cooling qualities, which only adds to the comfort and appeal of this mattress. Memory foam is ideal for anyone who wants a mattress that hugs the body during sleep while providing support and spinal alignment for a truly comfortable sleep. Hybrid mattresses offer a variety of benefits that make for a soothing sleep. For Example, hybrids are known to relieve pressure, provide a relaxing bouncing action, postural support and have a cooling effect. 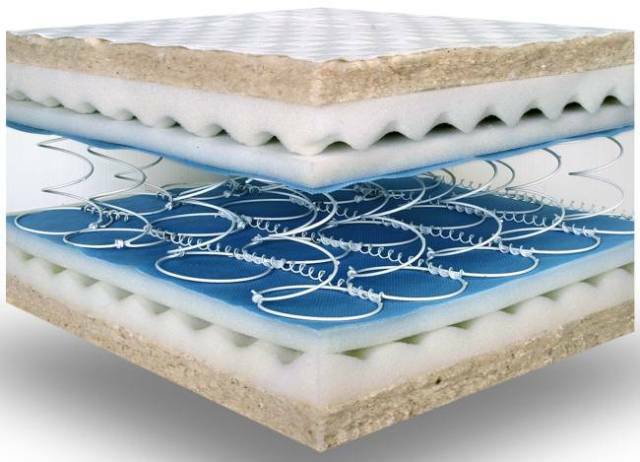 These and other features are made possible by a combination of materials within the mattress, which include latex, coils, memory, polyurethane foams and others. With a pillow-top mattress, you can expect to experience a lush and cushy sleep, thanks to the additional stratus of soft material that is carefully stuffed into the cover. Apart from this soft layer, pillow-top mattresses are made from a combination of latex, memory, hybrid, and coil. As a result, you get all the benefits of these various materials, which include maximum support, a hugging sensation and pressure relief, which makes sleeping on this mattress feel like you’re floating on a cloud. This is one of the oldest, most popular and reliable types of mattresses. The distinguishing factor of a coil mattress is the layers of spring coils that are contained within the mattress. These coils come in different types, sizes and amounts, which contribute to the level of bounce, comfort, and support provided by each mattress. The general rule of thumb when shopping for a coil mattress is ‘the more coils there are, the better’; and it’s an ideal mattress for anyone who enjoys the bounce, support and cooling sensation provided by this type of mattress. Latex mattresses are entirely built from latex foam, a cool and stretchy material whose benefits far outshine those of its competitors. Some of those benefits include superior bouncing action, foam comfort without the enfolding contours – which can be uncomfortable for some people- and great responsiveness and cooling properties. This type of mattress enables you to completely alter your sleeping position with just a few simple adjustments. For example, you can change the settings to create a back incline or elevate the feet. Others even come with vibrating gears to massage the sleeper, as well as heat modifying features. However, it’s important to note that adjustables are not quite mattresses, but rather a base that provides an optimal foundation for the mattress. They’re usually recommended for patients who suffer from certain sleep ailments such as snoring, joint pain etc., and they go well with foam mattresses. As with any purchase, it’s important to consider your budget when shopping for a new mattress. Luckily, you can get great deals when shopping online as opposed to a physical retail store, and there’s a wide variety of quality options available now that weren’t around a few decades ago. While it’s important to shop for deals and keep within a budget, it’s beneficial also to not go too cheap on your mattress option. Granted, a super expensive price doesn’t necessarily equate to superior quality. So a budget of €700 to €900 should get you a really comfortable high-quality option with all the luxury trimmings. Essentially, you must be willing to pay for good quality because you get what you pay for, and you want a mattress that can last you for at least a decade while providing you optimal support and comfort. The level of firmness you choose will be determined by your personal preference. What might seem firm to one person might be too hard for another, a dilemma which might make it difficult for couples to choose a mattress that suits both parties. One way to resolve this predicament would be to opt for a layered foam mattress, with different levels of comfort from memory foam to support foam. This is known as the universal comfort design, and it adapts to the sleeper’s silhouette to provide different levels of support and comfort. Another important factor to consider is the level of support provided by the mattress in addition to firmness. With the right support, your spine will be properly aligned, which means you won’t wake up with any aches and pains, and you can even customise your mattress according to your body type, weight, support level and firmness requirements. As briefly mentioned in a previous section, your body weight is a major determining factor in the process of choosing a mattress. Different features in each mattress complement different body types. For example, if you weigh 150 lbs or less, then you probably won’t sink into your mattress as deeply as someone who weighs 200 lbs or more. So the level of comfort, support, and firmness you derive from your mattress is greatly affected by your weight level. Fortunately, most mattresses come with different firmness points and sinkage thresholds for just this reason, and if you enquire from your manufacturer about the firmness point required by your body type, you should be able to find just the right mattress for you. Are you a side sleeper? Or do you prefer sleeping on your stomach; or perhaps on your back? Whichever type of sleeper you are, there is a mattress out there that are designed to suit your unique sleeping style. For example, someone who prefers to sleep on their back will do well to choose a mattress that is soft enough to relieve key pressure points, and firm enough to provide spinal alignment. Side sleepers will require a mattress that caters to their needs, as they tend to move around quite a lot during the night. Mattresses with a firmness level of soft to medium usually work well to relieve pressure in all the right spots. Plus, they contour the body well, providing optimal support while adjusting to the different side positions during sleep, to prevent neck and back pain. Stomach sleepers typically require a really firm mattress that will provide support across the entire torso, ensuring proper spinal alignment. Hopefully, these tips have made the hunt for a new mattress that much easier. 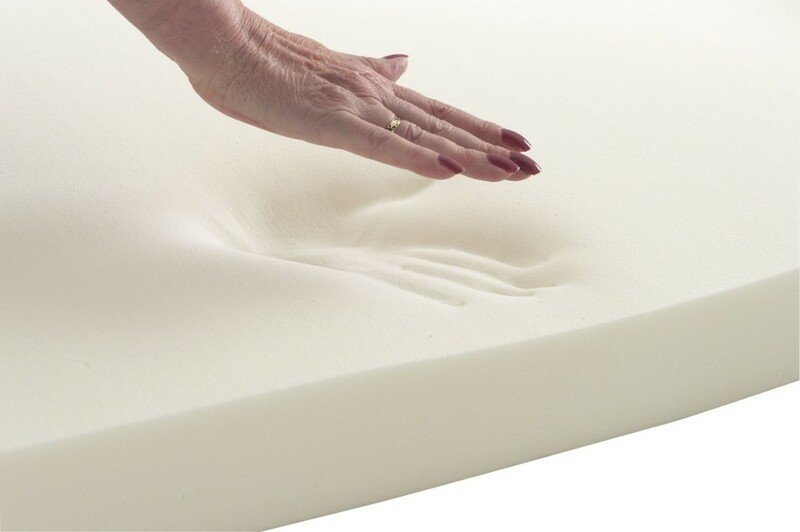 We’ve covered budget, weight, sleeping position, mattress types and firmness level requirements. Armed with this information, you’re sure to find a great deal on a good quality mattress from a mattress shop that will not only last for years to come, but provides you with all the benefits you need. Happy shopping; and here’s to getting a good night’s sleep.